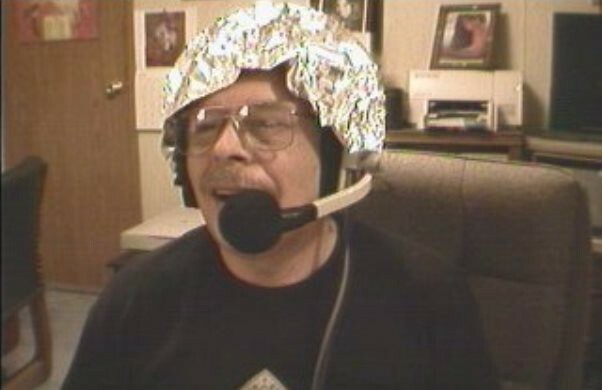 True to form, Art Bell died on a Friday the 13th. While I appreciate his entertainment value and his relevance to the X-Files era of conspiracy fantasy, I don’t subscribe to the hagiographic obituaries. Bell’s net effect on the talk radio format was to help set the stage for right wing hate radio and all that came after, up to and including the Donald Trump presidency. Not that he shared those beliefs, but Coast to Coast was a kind of gateway drug for what made the 1990s so warping on American conservatism. By encouraging people to believe the most insane, evidence-free shite about aliens, angels, and chupacabras, Bell ended up giving people permission to believe that Bill Clinton was a Chinese spy and Oklahoma City was a false-flag attack. The nighttime airwaves were filled with glib political fantasies, Lyndon LaRouche nonsense, wingnutty “libertarian” claptrap, and then Art Bell, all bleeding over and into each other in the minds of listeners. He gave the demented Alex Jones an important national platform for the same reason he let David Icke talk about ‘reptilian overlords’ and popularized goofy nonsense about chemtrails. Bell was doing entertainment. Unfortunately, everyone else on talk radio was doing propaganda. As the format transformed into right wing hate radio, the AM stations I listened to for “entertainment” didn’t draw any lines of distinction between silly fun and the delusions of the so-called “patriot movement.” Those lines were blurred, even erased in the minds of many callers. It was during this decade that I served in the US Army as a “cryptologic linguist.” We called it something else then. Basically, the job involved riding around with an armored division, listening to the enemy talk on the radio, and using enemy signals to figure out where their radios were located. This job is obscure and esoteric enough that there aren’t any good photos of my electronic warfare platform online. It has since been replaced by a whole new system. As I listened to Alex Jones rant about unmarked helicopters on a Texas FM radio station that also played certified white supremacists as well as Art Bell, I was preparing for my first trip to the National Training Center (NTC) with a brigade to play a giant game of “laser tag” in the Mojave desert. The “enemy” at NTC, a fictional country called “Krasnovia,” is a cavalry regiment with vehicles modified to resemble Russian ones. But there was also a nearby state of “Pahrumphistan” that sent militia irregulars, as we were training for the insurgent wars that were sure to come in the future, that did indeed come to pass. The “capital” of this notional state of Pahrumphistan is nearby Pahrump, Nevada, where Art Bell lived. It’s important to note here that a lot of residents in that empty part of the country were still using radiotelephones. The tech has long since been superseded by cell and satellite phones, but at the time, it meant that there were two civilian radio comms channels we could overhear on the training range at Fort Irwin. We were supposed to block these channels, but for some reason — possibly related to an electrical short caused by an accident on our first day of deployment — the radio presets kept disappearing every time we shut down to “jump” from one location to another. I had listened to Bell several times before this, so I knew his voice. I also knew that he lived in Pahrump, and while I had no idea whether or not he owned a radiotelephone, it totally made sense that he would, since he was such a fan of ham radio and shortwave signals and so forth. So even though I was technically committing a crime, and I was supposed to be looking for Krasnovians instead of listening to “entertainment,” I stopped for a minute. While I had missed most of the message this person was leaving, it was clearly personal, not a part of the show, which I believe would have been over by that hour before dawn. The guy who sounded like Art Bell was leaving a message for someone and he was depressed about something. He finished his message and hung up, whereupon I once again blocked the channel and went back to searching for Krasnovians. I have only told this story a couple of times to anyone (because, again, this was technically a felony I committed). But it has always tickled me that the one time the “deep state” was maybe actually spying on Art Bell, it was me, and totally on accident. That is the funny part of this story. What is not funny is that, in those days, Alex Jones regurgitated dangerous idiocy from the so-called American Patriot Fax Network, a cesspit of neo-Nazis and militia nutjobs, about Chinese troops supposedly training on American military bases to prepare for the New World Order’s massive gun confiscation. Besides deploying to the NTC, my division also had a MOUT (military operations in urban terrain) training facility. Alex Jones railed against this kind of “urban combat” training as a veiled preparation for the globalist takeover, when the United Nations would supposedly set fire to the Constitution and begin marching Americans into the FEMA death camps. Never mind that the US Army was already embroiled in Balkan operations, or that Marines would eventually destroy Fallujah in order to save it, or that something like 40 percent of all modern battles take place in urban terrain — it was a conspiracy! Never mind that allies, including some from Asia, actually did send some troops to learn in our schools, or that we sent our troops to learn in theirs. Conspiracy! I stopped laughing at this kind of “entertainment” when I returned from NTC. For while I was gone, the FBI had arrested Bradley Playford Glover and Michael Leonard Dorsett as they prepared to attend the Fort Hood Freedom Fest and kill those “Chinese” soldiers Alex Jones yammered about. Both men pleaded guilty. It was not the only such story that I heard: one team leader of mine had participated in a helicopter training mission that Oklahoma militia kooks had tried to sabotage. Every Coast to Coast listener thinks of themselves as Fox Mulder or Dana Scully. For some reason, no one ever imagines that they are the guy with the salamander-hand. Mind you, this was two decades before Alex Jones inspired Edgar Maddison Welch to walk into a Washington, DC restaurant with an AR-15 over the moronic “pizzagate” conspiracy theory. Welch also pleaded guilty, but this time Alex Jones was also forced to apologize — something he had never done while he was risking our lives by popularizing fake news. The only story you could never trust was the official one, the government one. Because the government was controlling your mind with Fluoride in the water and blacked-out helicopters in the air. Bill and Hillary Clinton were listening to you, monitoring you, shaping your reality through surveillance. In reality, of course, I was a soldier trying to do a mission when I may or may not have overheard Art Bell, and it was just an accident. Pure derp, not deep state. My assistant team leader had forgotten to put the cover cap back on the slave cable connection of the vehicle battery, which was located under his seat, and then the metal buckle of his M-16 strap had gotten caught in it during the first convoy, causing the electrical short. 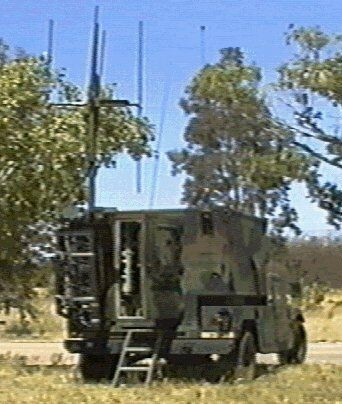 Our $250,000 electronic warfare platform never quite worked right again until we got it home to Fort Hood and made repairs, but that was good training for the real world, where no plan survives its first test under fire. Politically incorrect about your ammosexual lifestyle choices.